Mid West MC extraordinaire Atmosphere brings The Family Vacation Tour, in support of his new album, The Family Sign to the Greek Theatre this Friday, Aug. 26. 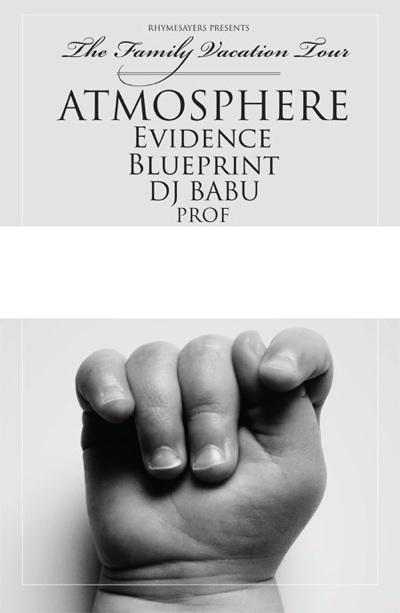 Rhymesayers label mates Evidence, Blueprint and DJ Babu round out the lineup with some of the best that hip-hop has to offer. Tickets to the show are $35 and the show starts at 7:30 p.m. We have some free tickets to give away so get on it! You must have a Twitter or Facebook to enter the contest. First make sure you’re following Grimy Goods on Twitter here and/or “like” our Facebook page here. We’ll pick winners at random by Wednesday, Aug. 24. The winners will be direct messaged on Twitter or contacted below their contest entry comment on the Grimy Goods Facebook page. Winners will have until noon Thursday, Aug. 25 to claim their win or the tickets will be forfeited. To increase your chances, enter the contest both ways! Via Twitter: Make it clever and witty! Send your Tweet to @GrimyGoods, mention @Atmosphere, give us your full name for guest list and be sure to include the following hashtag in your Tweet: #ContestAGT. Via Facebook: Just leave a comment on the Grimy Goods Facebook page telling us why we should hook you up with these tickets! Be sure to mention Atmosphere at the Greek Theatre so we know which contest you’re entering! And don’t forget to include your full name so we can add you to the guest list! For more cool shows coming up at the Greek Theatre click here. To enter other Grimy Goods contests, click here. 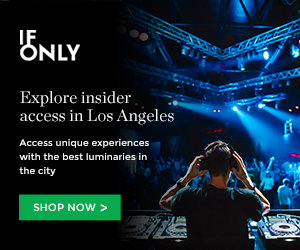 This entry was posted in Giveaways, Uncategorized and tagged atmosphere, Blueprint, concerts, contest, DJ Babu, Evidence, Family Vacation Tour, free, free tickets, giveaway, greek theatre, indie, Shows, sweepstakes, ticket giveaway on August 22, 2011 by Emily Saex.